The announcement of the winner for the first stage of building the special economic zone (SEZ) in Kyaukpyu has been postponed. Management officials decided that the announcement will be made in February, rather than in December 2014 as originally planned. According to the Bid Evaluation and Awarding Committee joint secretary, U Aung Kyaw Than, the process must be fair for all the competitors involved. The sensitive process needed to be delayed until February for that reason. It is important that no nonsense is made, but that they are still on pace for the development. There are currently 12 companies competing for the bid. They have all been interviewed, and there will be further discussions next month. Three firms are expected to be announced for the first phase of the SEZ development. This includes the residential area, industrial park and deep sea port. U Ba Shwe, a committee member and SEZ’s Observation Group chair made the announcement. The central committee will make the final decision, with U Myint Thein, the deputy railways minister, chairing it. Most of the 12 competitors are from Singapore or China. It has led to many local firms complaining of very few domestic companies getting involved. Golden Land Development Public Company, ran by U Phoe Cho, says it wants the chance to get 51 percent when working with awarded developers. There would not be enough influence by the developers otherwise. The development of the Rakhine State SEZ was confirmed in September 2013. 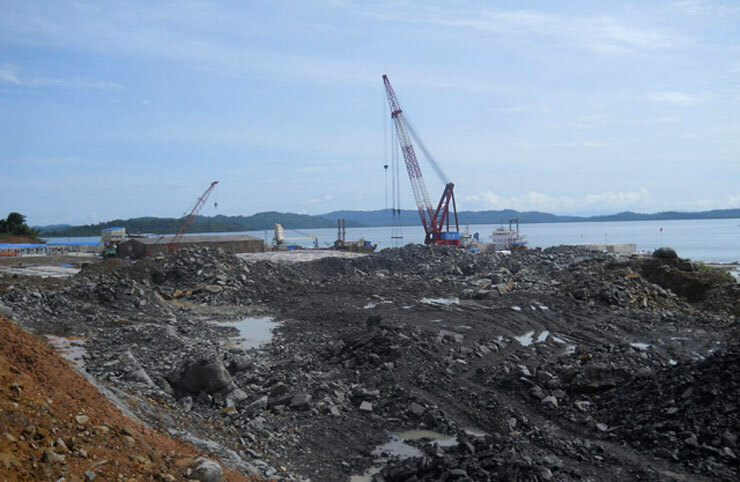 It would be the third major project with the Dawei and Thilawa SEZs. The master plan for the project was then announced in June 2014 by CPG Consultants.